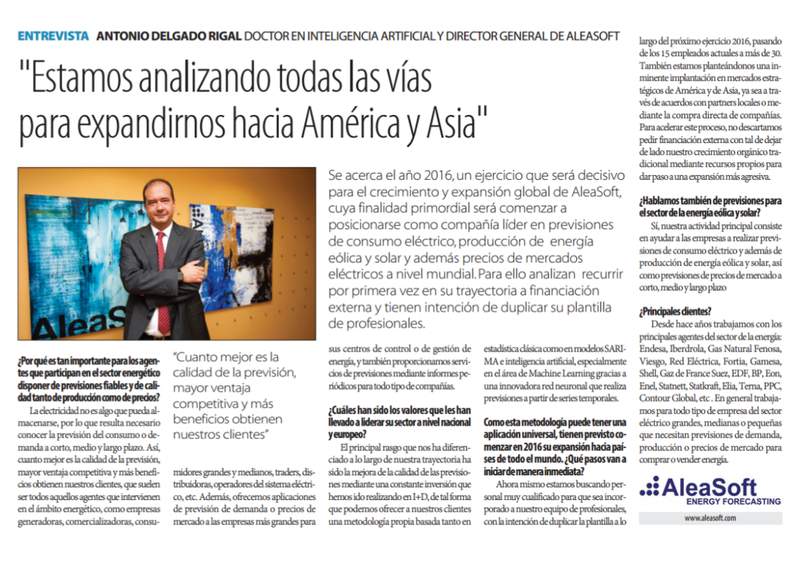 Interview with Antonio Delgado Rigal, Artificial Intelligence PhD and Director General of AleaSoft within the Spanish Newspaper Cinco Días published on Wednesday December 9th, 2015. 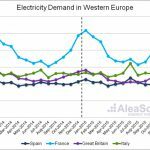 2016 is fast approaching and it will be a decisive time for the development and the global expansion of AleaSoft, whose main goal is to position itself as a leading company in the energy forecasting of consumption, wind and solar production, as well as energy market prices at a global level. In order to achieve this, they are analyzing pursuing external funding for the first time and are intending to double their professional workforce. Why is it so important for the agents who participate in the energy industry to have reliable and highquality forecasts for both production and prices? Electricity cannot be stored, it is therefore necessary to know the forecasting of consumption or demand at a short, mid and long term. The better the forecasting quality, the greater the competitive advantage and benefits our clients obtain. Our clients are typically agents intervening in the energy sector, such as generators, retailers, big and medium consumers, traders, distributors, electricity system operators, etc. Furthermore, we offer demand or market price forecasting applications to the larger companies, for their control centres or energy management. In addition, we provide forecasting services through periodic reports for any kind of company. Which were the values that led you to become leader in your industry at national and European level? 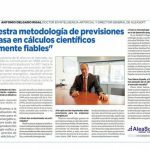 The main trait that has distinguished us in our path has been the improvement of forecasting quality through a continuous investment in R & D, in such a way that we can offer our clients our own methodology based on classical statistics, SARIMA models and Artificial Intelligence, especially in the area of Machine Learning thanks to an innovative neural network which generates forecasts from time series. As this methodology can be applied universally, you are planning to start your expansion process towards countries across the world in 2016. Which steps will you implement immediately? Right now we are looking for highly qualified employees to join our team of professionals, with the purpose of doubling our workforce during 2016, from the current 15 employees to more than 30. We are also thinking of an imminent expansion in strategic markets in America and Asia, either through agreements with local partners or via direct purchases of companies. To accelerate this process, we do not rule out requesting any external funding, putting aside our traditional organic growth through our own resources in order to pave the way for a more aggressive expansion. Are we also talking about wind and solar energy forecasting? Yes, our main activity is to help businesses make forecasts of electricity consumption, wind and solar energy production, as well as market price forecasts at a short, mid and long term. the energy industry, big, medium or small companies, which need demand, production or market price forecasting to purchase or sell energy.